Ricky Baker (Julian Dennison) is a teenage delinquent, with a list of petty offences against his name. Shunted from foster home to foster home, his last chance comes when he is fostered out to Hector (Sam Neill) and Bella (Rima Te Wiata) Faulkner on their rural property. For a while Ricky finds a place to call home, but when things go wrong Ricky runs away to the bush. As Hec follows after him, a tragic misunderstanding leads to a nationwide manhunt for the pair. With neither wanting to go to jail, Hec and Ricky team up to stay one foot ahead of the forces that are hunting them. Based on Barry Crumb’s novel Wild Pork and Watercress, this is such a carefully crafted film, with a fine sense of humour. Director Tiaka Waititi (What We Do In Shadows) communicates this comedy in a tightly controlled manner, not wasting a shot. From the original introduction of ‘real bad egg’ Ricky Baker (complete with Omen like music and vast litany of egregious offences against the peace of New Zealand) this film moves at a fast clip, encompassing much in its just over 90 minutes of run time. Yet it doesn’t fail to communicate the emotional heart that is so central to this story. A lot of this comes from the chemistry of the two principals. Matching Sam Neill’s (Jurassic Park) curmudgeonly bushie with Julian Dennison’s somewhat naive juvenile delinquent, is a classic pairing. Neill in many ways plays the straight man, as Hec, but delivers his lines with a dry sense of comic timing. He uses his screen presence to give Hec a sense of menace to go with the competent survival skills, tempered with just a hint of fatherly care. By contrast Dennison is just all in, full of glee and false bravado. The thing is, it is such a thin veneer that you can automatically see through to the charm and vulnerability of the character. It’s a touching performance as well as comedic, as he bonds with both Neill and the excellent Rima Te Wiata (who steals the show as Hec’s wife Bella). Rachel House also does some sterling work as Ricky’s no nonsense child welfare officer and nemesis. Humorously quirky, yet there is a real emotional depth to this tale of broken people finding acceptance in one another. 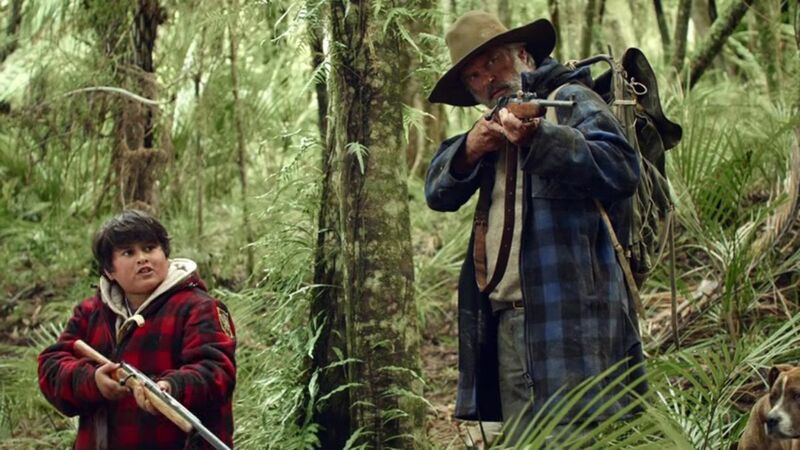 Hunt For The Wilderpeople is a must-see film from across the Tasman.